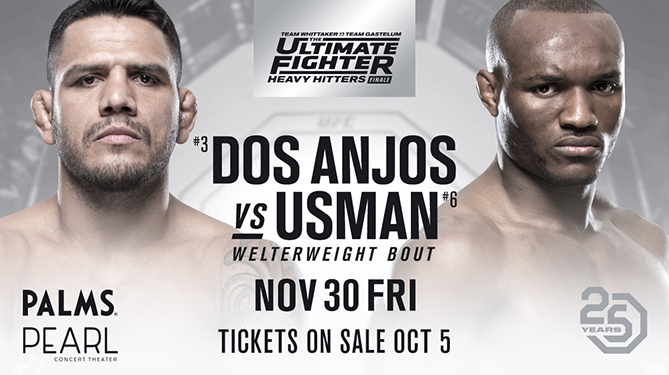 Las Vegas – UFC® announced today that a pivotal welterweight contender battle between No.3-ranked welterweight contender Rafael Dos Anjos and No.6 Kamaru Usman will headline THE ULTIMATE FIGHTER HEAVY HITTERS FINALE. The culmination of this season of the popular reality series will see heavyweight and women’s featherweight tournament winners crowned. The event goes down Friday, Nov. 30 and will air live from The Pearl on FS1.